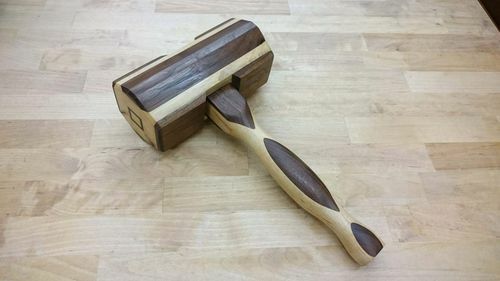 I made this Japanese-style genno hammer for the 2018 mallet/hammer swap and sent it out to my new hammer brother Nathan / lazyman . These are traditionally used for striking chisels and adjusting plane blades. 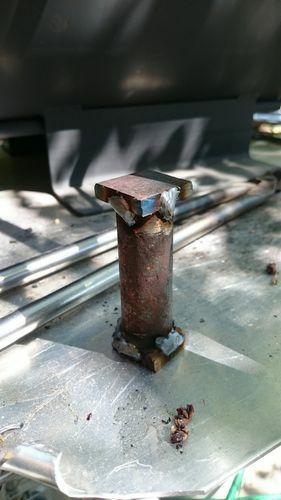 I forged the head from a thick steel stake I found at the local flea market (which I’ve dubbed flea market mystery steel), with old leaf spring steel forge-welded to the faces for strength. 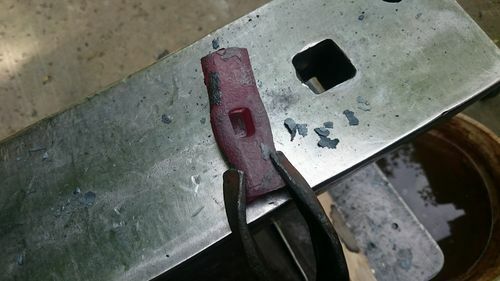 I had previously forged a special hot punch to make the eye for this hammer. The head is hardened and tempered, and I left some of the quench blackening on there for contrast. The handle is hard maple from a large old frame I salvaged. I sculpted it to match the shape of my favorite antique cross peen hammer’s handle, I think it fits pretty well in the hand. Hopefully Nathan can use this thing, I was kind of sad to send it out. I’ll try making another for myself someday soon. Allen that’s a first class genno. 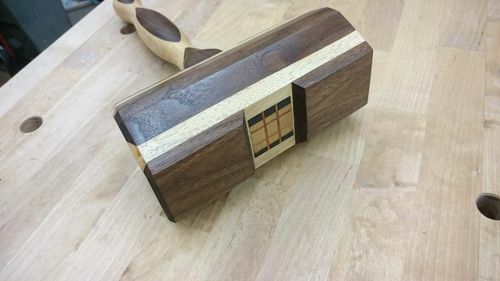 It looks like it could have been produced in Sanjo City Japan where I think most of the handmade hand tools come from. I like how you left the quench char and then polished the business ends for contrast. Beautiful work all the way around! Really lovely hammer, Allen. Did you weigh the head before attaching the handle? I did, but I can’t remember the final weight now unfortunately. Hopefully it’s about the right size to be useful. I realize this isn’t a traditional genno handle, but I like western-style handles with wedges so I went with it. That eye hole looks just as good as any of mine Allen, not sure what’s up when you talk about mine. I like that you left the scale on it and smoothed out the ends. Gives it a more authentic look and of course, forge welding is just awesome so kudos on that too. 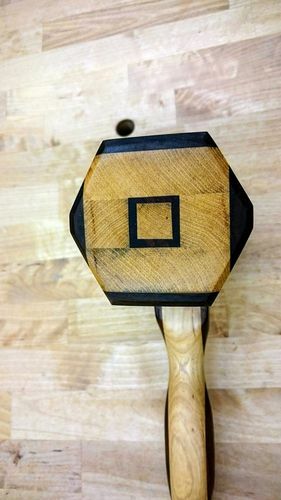 I can’t see how any woodworker couldn’t use a mallet this size. My little damasacus should have been this size until I found inclusions so it ended up smaller. Next time I’ll get my stock more round before I twist it…..not sure why I didn’t. Excellent job buddy, seriously love your work Allen. That eye hole looks just as good as any of mine Allen, not sure what s up when you talk about mine. I can t see how any woodworker couldn t use a mallet this size. My little damasacus should have been this size until I found inclusions so it ended up smaller. Next time I ll get my stock more round before I twist it…..not sure why I didn t.
This one ended up decent, though a little to one side and trapezoidal. I filed it some to correct the issues. I have 3 or 4 hammer attempts thrown into my scrap pile due to crappy eyes, but I’m getting better with practice. I really like the forged head Allen and the way you finished it looks cool. 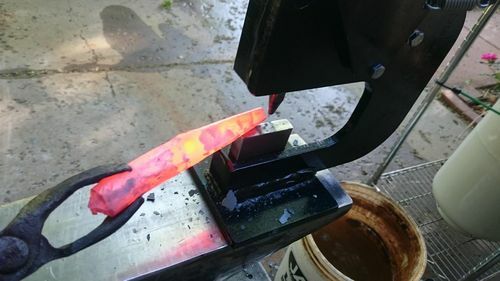 Forging is something that I have always been interested in. Awesome as always Allen. This one’s definitely a great size and beautifully forged. I’m always evious of the handles you make! Allen, your metal work is so nice! A metal hammer/mallet will last forever! Beautiful metalwork, and the handle looks good too, Allen. Nice work! Allen – you metal guys are in a different class on this swap. I have no idea what you are doing, how, or why but it sure turned out nice. Beautiful. Lotʻs of love in that tool. As the happy recipient let me first say thank you Allen. 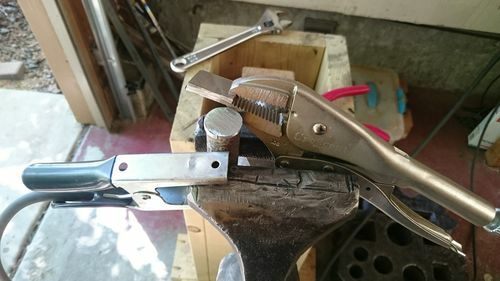 You don’t know how many times I have nearly bought similar hammers. For the rest of you, I can tell you that it looks even more amazing in person than it does in the pictures. I actually prefer smaller hammers and mallets so this was a perfect fit for me. 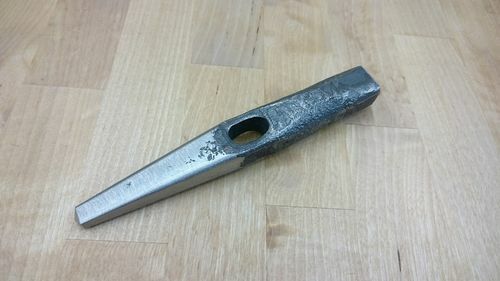 This one is going to get a lot of use when I need to finesse a chisel. I agree that the handle on this one is more comfortable than the traditional genno style handles. The finish is silky smooth and but not slick and I keep picking it up to feel the handle and wind up carrying it around absentmindedly. 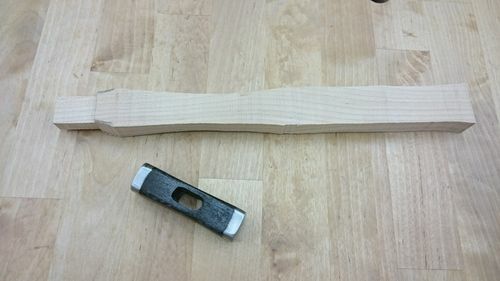 My only complaint is that it is likely to cost me money as I buy (or make) a few Japanese style planes that require a hammer like this to adjust. BTW, I just put it on a digital kitchen scale and the weight with the handle is 6.7 oz or 191 grams. Really nice work, how many guys forge up a hammer head? 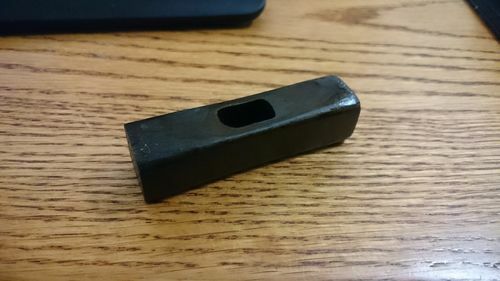 Pretty sure it’s why most of the woodworking hammers made by users have wooden heads. Thanks for posting, it’s guys like you laying it out there that makes this such a great place.